Oh, Canada! On Canadian Nationalism | ANNAINAUSTIN...and Company! “Dépanneur? What the hell is a “dépanneur? And why are they on nearly every corner of every street in Montréal?” I thought to myself as I walk past the Place Dupuis on the Rue Ste. Catherine as a trudged through the ice and snow back to my hostel on Rue St. André. I vaguely recalled that a “dépanneur” was some sort of repairman in French, and while I could conceive of the word as a reference to a hardware store, I seriously doubted that Montréal would be alone in Canada or the world in needing so many hammers or nails. A quick Google-Translate search helped me to understand that a “dépanneur” was a French-Canadian colloquialism for “convenience store,” a bit of information that better explained their cultural ubiquity here. “Épicerie” or “commerce de proximité” would, I think, be the better mainland French equivalent, but these aren’t nearly as handy. Engraving by Wm. Woollett, 1776, after B. West depicting The death of General Wolfe. 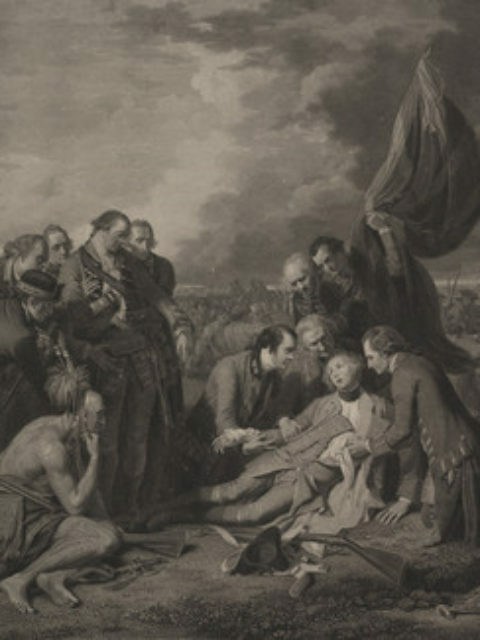 Gen James Wolfe, lies mortally wounded on a field, surrounded by soldiers and a Native, during the siege of Quebec in 1759. 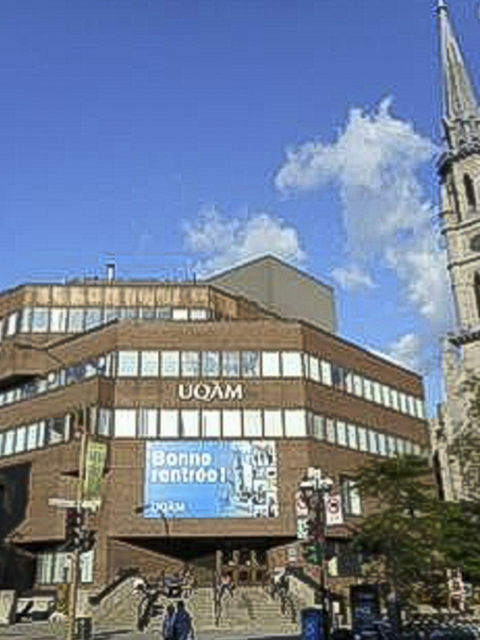 And like the Texan War, the Battle for Québec presaged a seismic shift in the region’s political and cultural history whose repercussions endure even today, (and more importantly for me,) created a seemingly impassible cultural divide that has inflicted an obviouspsychic injury to the people that remains noticeable even to a stranger such as myself. Having commenced my Canadian odyssey by traveling first to Toronto, arguably Canada’s chief city, and certainly its largest, I first glimpsed a young, future-oriented burgh with aspirations of grandeur—not unlike New York City in the middle of the nineteenth century. In fact, Toronto feels like NYC at half-speed. It is decidedly multi-cultural—not only are all the signs in French and English, but the city has become a haven for a number of different ethnic groups. In addition to the local (i.e. Anglo-French) Canadians, I saw indications of strong East Indian, Asian, African, Middle Eastern and Eastern European cultural activity there. Moreover, the city seems founded on commerce, and it sports legions of bustling young people striving to make their fortunes. For example one of my hostel roommates was a young, 20-something German man, who had just arrived to find a job in this new shining Metropolis. Moreover, the central reason for my visit was my young niece, a new college student who was on the cusp of beginning her own dream of future greatness. In Toronto, the airports are ultramodern, with trams, moving sidewalks, and electronic devices of all sorts to confound and facilitate a traveler’s every need. Additionally, multi-form modes of transport offer themselves to ease my traveler’s discomfort and ignorance—I especially enjoyed the taking subway lines which deftly guided me to my destination. Electronic gadgets were everywhere to take my money and speed my forward progress. Nearly everything I saw in Toronto either rivaled, or at times, even surpassed what I expected as a forward-thinking American. But my experiences in Montréal proved quite different. (And to be fair, the colder weather and rockier terrain made the even modest levels of travel I endeavored in Toronto nearly impossible.) In fact, I stayed in the environs of the old University student quarter, my entire time there. Several of my newly-acquired student friends enjoyed the “Nuit Blanche” festival, a sort of sanctioned group pub crawl from what I could tell. 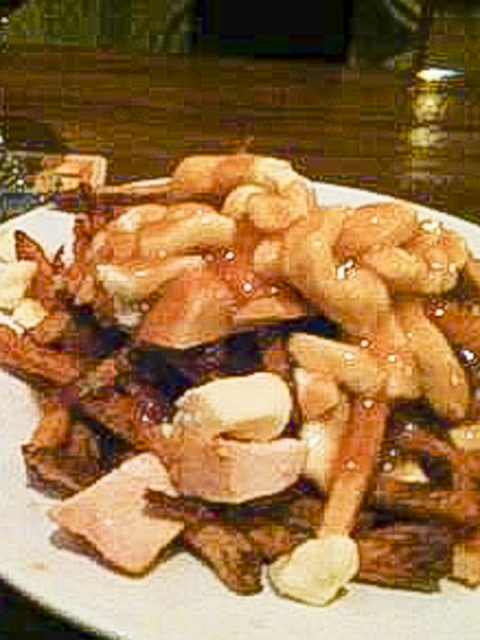 But I shunned the festivities and instead went solo to the closest Resto-Pub to grab some poutine and a glass of wine. As a city, it is clearly older, more difficult, and profoundly sadder. Such is the case, not only because the poor weather made the streets slicker and walking more dangerously fall-prone. This harrowing situation is augmented by the stonily-dense, but conflicting architectural styles which dominate the old area in which I stayed (i.e. the Latin Quarter) and extended out to the city center. On one hand, one cannot help but to be struck by the ornate, but literally, very weighty beauty of the numerous cathedrals and chapels whose style hearken back to a late sixteenth or early seventeenth Rococo French Counter-Reformation which munition the landscape like sharp pill boxes jutting skyward every few blocks to muster the faithful in small squads to defend the various districts from some unspoken external threat. Moreover, because it is a French-Catholic place which has had to defend its religiosity time and again, most of the streets bore antique, Franco-Catholic names such as: Sainte-Catherine, St. Antoine, St. André, St. François-Xavier, and of course, St. Laurent. With so many martyrs’ names, I half-expected to turn a corner and witness a heretic burning, a beheading, or adamnatio ad bestias in one of the many squares. 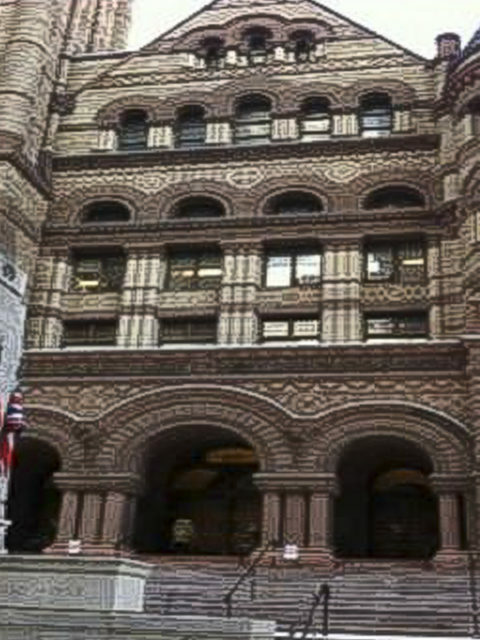 To be fair, Toronto’s downtown and University quarter overflow with silly, cloying examples of Victorian Gothic Revival buildings connecting the modern city to a supposedly glorious and religiously solid Medieval European past. But such expressions of cultural attachment by Canada seem cheekily almost self-aware attempts at post-card grandeur. Montréal’s bid to maintain its connections to Neoclassical France seems in (almost desperate) earnest. Walking around Montréal, I was by turns either awed by its Old World ornate splendor or bored or depressed by its coldly functional modern blandness. Perhaps I am committing an act of confirmation bias, given that I came to Montréal explicitly looking for traces its Francophone heritage. However, so much of what I saw reeked of people trying desperately to retain possession of a long-dead culture whose direct descendants have renounced affiliation with them. Yes, this IS unfair to Montréal, but when compared to the almost recklessly future-driven Toronto, it seems to be a city living off the lees of its grander past. Such a condemnation sounds awkward coming from a son of San Antonio, whose parent fled the city in the early 1980s for the boomtown of Houston because it too seemed worn-out, encumbered by living in the pale shadow of its much more glorious past—I grew to cultural awareness watching re-enactments of the hopelessly valiant defense of the Alamo, and heard tales of the failed Spanish missions and their “altruistic” efforts to bring Christianity to the violent local natives. But this personal history of being overshadowed by the past renders me, I think, more sensitive to the psychic toll this situation causes. And for Montréal, and perhaps for the whole of Québec, this toll rises to the level of deep, and I believe unhealed, trauma. This trauma, of course, began with the Marquis de Moncalm’s defeat in 1759, and achieved its zenith in 1793 when France ceded its North American holdings to the British. French-Canadian culture, it seems, wants hopelessly to regain a vital connection to its maternal culture. But Québec is not Senegal. Nor is it Algeria. Not only has it been cut off from France for far longer—over 200 years—moreover, it has developed a deep and abiding cultural relationship with its erstwhile conquerors. 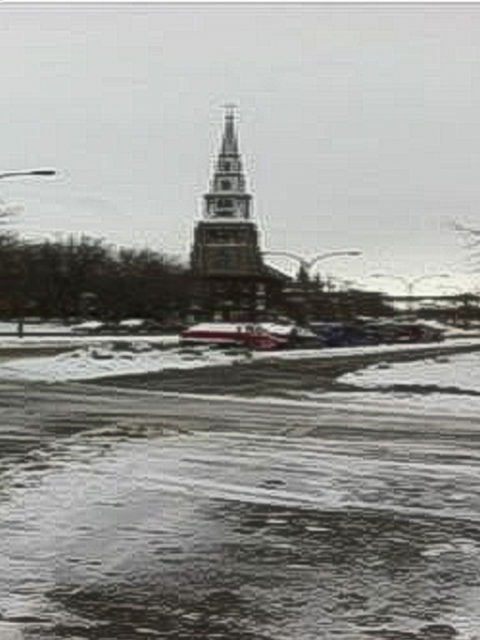 In spite of its own desires, Québec is not French; it is, rather, Canadian, a hybrid minority culture born of French settlers, but forged in the bicentennial struggle to overcome oppression both from within (such as the Acadian diaspora or the various struggles for Québécois political independence) and from without (such as the Second Battle of Québec against America in 1775, the American invasion during the War of 1812, or Canada’s participation in the First and Second World Wars) and stand on equal terms with its erewhile oppressors. The printing press, of course, facilitated the rapid production and dissemination of ideas, knowledge, and importantly for Anderson, of news. This fact, together with the group of “print capitalists,” that is the concept that, in order to sell more of their product, print entrepreneurs wrote their products not in the high clerical languages of the time, (i.e. Latin,) but in the developing vernaculars such as French, English, Spanish, or Italian to promote easier dissemination. This use of vernacular languages not only strengthened and standardized these languages; it created in the minds of those who spoke them, a sense of a common linguistic community. But for a linguistic community to coalesce as a distinct cultural community, a common language, Anderson argues, is not enough. It requires also a common history, and strangely, but equally importantly, a common understanding of time. On this account he borrows the notion of the distinctions between a cultural understanding of “homogenous empty time” versus “messianic” time from the 1940 essay, “Theses on History,” by the early twentieth century German Jewish philosopher, Walter Benjamin. “Messianic time, “according to Benjamin, is a view that time is “cyclical or seasonal,” and thus, generally repetitive. But in this view time is also eschatological, that is, it tends towards some predetermined and millennial end (i.e. eternal Paradise or eternal damnation,) thus it is “messianic.” People possessing this view organize their time according to seasonal agricultural and religious festivals, often related to birth, growth, senescence, death, and redemption. This view was the typical view of Medieval European Christians who celebrated various feast days during the year as they awaited either their own deaths (and resurrection or damnation) or the Messianic return of Christ to end time and history. “Homogeneous, empty time,” on the other hand, is the view of time that we typically enjoy today where time is regarded as being linear. We divide the year into seconds, minutes, and hours which tick away and move us inexorably into some unknown future. This view of time is empty because it lacks special moments which give it necessary meaning—as the festivals and feast days do in messianic time. Time is homogeneous, in this view, because each moment is exactly equivalent to any other. In this view, giving meaning to time (and thus to history as well) has been wrested away from God or Nature and been deposited squarely into the lap of the individual society or person. Time, therefore, has been liberated and democratized. No longer were individuals merely passive objects of immutable universal history. They had become active agents in the making of history, (described conveniently, of course, in the “news” by print capitalists.) They had become “citizens” of their new nation-states, endowed with the ability to irrevocably alter the future. The eschatological stranglehold of cyclical history tending towards the Apocalypse had been broken. 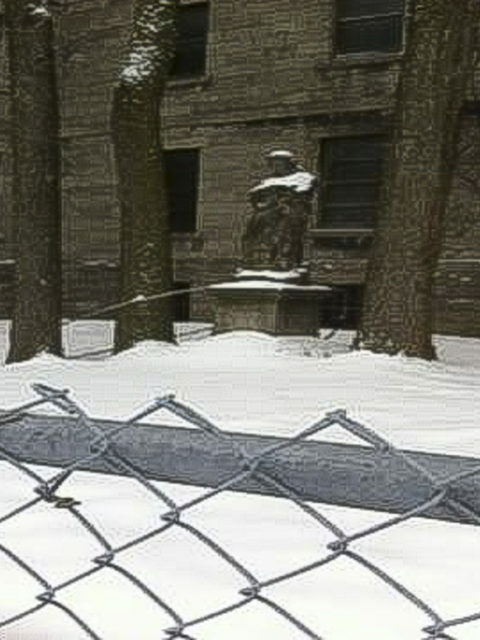 Thus, for Anderson, it is this power of linear temporal self-determination, effected as it was by the new technologies sparked by print capitalism, that marks the important, radical psycho-social shift from the collection of feudal estates of the late Medieval Period to the beginning of nation-states in the Early Modern one. The new media empowered the newly self-aware vernacular communities to alter their notions of time and history, thereby seeing themselves as collectively unified based on their adherence to three (or four) basic commonalities: (1) their linguistic commonality, (Anderson also discusses the necessity for a geographic proximity—they must live relatively close to one another, even if they never actually physically interact.) (2) They must share a common, or at least overlapping, sense of historical origin. In Anderson’s terminology, they must possess a “shared sense of collective social memory.” And finally, (3) they must share a common vision of the group’s basic goals or purposes. Just as importantly, these similarities marked them as different from other groups with whom they compete or cooperate. If Anderson’s deft discussion of the basic characteristics of modern nationalism help us to understand the history of the creation of modern nation-states in Europe and the Americas, it also offers hints at the various problems Canada has had to confront as it has striven to forge its own unified national identity. It is a mistake to treat languages in the way that certain nationalist ideologues treat them- as emblems of nation-ness, like flags, costumes, folk-dances, and the rest… Much of the most important thing about language is its capacity for generating imagined communities, building in effect particular solidarities (133). Unlike French-Canadians, (or their American cousins to the South,) their English speaking peers have not had to confront the fact that, despite their linguistic similarities, they are experientially different from their British-born collocutors. Despite historically offering their fealty to the British Crown, they have been slow to acknowledge that they are Canadians, not Britons. In fact, although Canada officially became an independent country in 1867, as late as 1981, it still required permission of the British government for certain acts of sovereignty. But if British Canadians still officially defer respectfully as a former colony to their historical motherland, the position of French Canadians is far more baleful and tenuous, as officially, after 1763, the French have foresworn them. This foreswearance has occasioned a deep (and I believe unhealed) psychological trauma among the Québécois that has not only caused them to “treat [languages]- as emblems of nation-ness,” as many of their English-speaking fellow Canadians have, but more perversely to foreswear of their own part the “power of linear temporal self-determination itself.” It appears to me that they have rejected the modern insistence on homogenous, empty time, opting instead to return to the reassuring certitude of the eschatologically more comforting messianic time. The only real way for the Québécois to truly become French (and not to be merely French-speakers) is for them to psychically dismantle the modern historical linearity of Time itself, and insist like their Medieval forbearers that their essential Frenchness will be redeemed in some future messianic end time. This is, I suspect, the substance of the historically-irrational, but psychically understandable obstinacy of the Québécois to the dictates of modern Canadian nationalism. This is what they unconsciously pledge when they promise to remember. “Je me souviens,” like the Nicene Creed before it, represents a σύμβολον (Eng. symbolon), that is “half of a broken object which, when placed together with the other half, verified the bearer’s identity.” It is a linguistic talisman which not only vouches for the “bearer’s identity,” but functions as a participatory token allowing him or her to stand symbolically in communion with the physically distant community it represents. It offers itself as a shamanic poultice attempting to heal the historical breach that separates the person from the other historically far-away members of their imagined community. 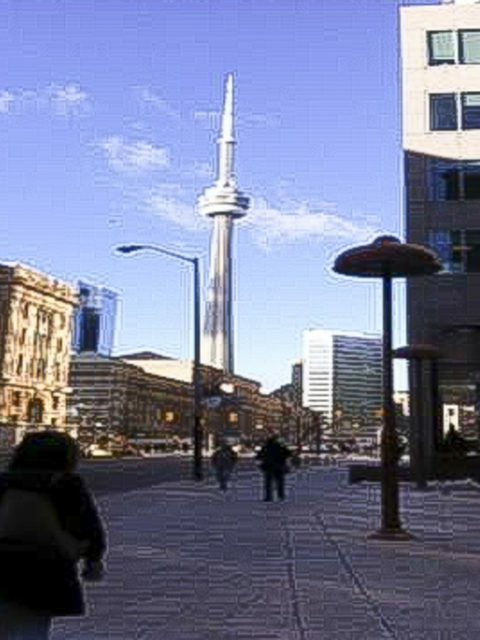 All modern photos of Canada were taken by Byron King and are used with permission of the author. A Sign From Before Dr. Pepper Lost Its Period! This actually answered quite a few questions I’ve long pondered about both Quebec, and the degree of “French-ness” it embodies. I’m a bit torn, as a direct ancestor of mine was held prisoner there in 1775, and being tainted with “Irish Alzheimer’s”, I’m still a tad miffed. Still, if you can make peace with the mixed marriage of national identities at play enough to explore it this thoroughly, I suppose I can forgive Quebec for once housing my 7th great-grandfather’s gaol. Cathy, Thanks for the response. As you can probably sense, while I thoroughly enjoyed my time in both cities, my head preferred Toronto, while my heart preferred Montreal. Its deep, but rather sad, faith both touched and startled me. Given my history, some of which I shared above I identify in various ways with both cities and both halves of Canada’s bifurcated soul. I want to and need to return at some point to continue my investigations. Next story President Barack Obama at SXSW Tomorrow!